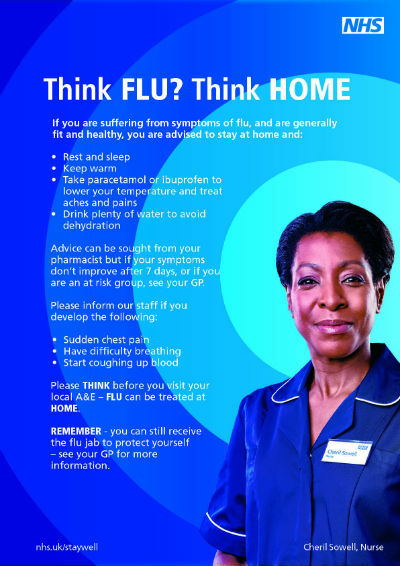 Bosses at Sandwell and West Birmingham Hospitals NHS Trust are giving patients advice on what to do if they are suffering from flu-like symptoms. The move follows a rise in the number of patients presenting with influenza. NHS England called for people earlier this week to get the flu jab to protect themselves against the infection. Mr Hooton added: “We advise that patients should call 999 or come to A&E if they suddenly develop chest pain, have difficulty breathing and start coughing up blood.